The water slide at the 2014 Outdoor Sunday Evenings 5k. Photo by Kelly Barten. Despite threats of steaming-hot weather, there were 209 finishers in the Outdoor Sunday Evenings 5k. Organized by a team from SW Bible Church in Beaverton and led by Carl Stubblefield, this was the third running of the family-friendly Sunday evening race. In addition to the 5k run/walk, there was a mile event and a wide variety of kid's activities, including an inflatable water slide, inflatable obstacle course (for the littler ones), and a water balloon drop. The evening concluded with hamburgers and chips for all participants followed by awards; all participants were invited to stick around for a (very well-attended) church service with live music. Runners lining up in the starting chute at the 2014 Outdoor Sunday Evenings 5k. Photo by Kelly Barten. The start is on the grass field behind the church and school, but within 100 meters the route zips through the parking lot and onto the sidewalk along Murray. The first mile is very shaded, but mainly uphill. Beaverton Police did an excellent job of keeping participants safe as we crossed a few roads and then hopped onto the Powerline Trail. I’m always surprised at how steep the section of this trail is near Scholls Ferry Road, but I knew that just like a flat road, you’ll cover the ground soon enough if you just keep going. Having passed the one-mile marker before the trailhead, I had a good indicator of how I’d do for the total distance, and I was distracted by the awesome jungle gym discovered thanks to this run and my impulse to cheer on the high number of young runners in the 5k. The sun was out in full force for the first half of the 2nd mile, so it was wonderful to get back on the sidewalk and back into the shade – and to the aid station. Normally I pass on water in a 5k, but the young volunteers were so eager to provide refreshment for the hot runners that I grabbed a cup. Somewhere around here, while crossing a road, someone in a vehicle yelled out, “Great job, Kelly!” – it was Run Oregon’s own Teresa Wymetalek, yelling out her car window “like a crazy person” (her words, not mine). A few more rolling hills, none so bad as in the first half, and before I knew it I was passing by the Mile 2 marker. More of Beaverton’s Finest kept us safe and volunteers kept runners and walkers on course during the last mile as I started down the hill on Weir. One small incline up the driveway, around the back of the church and onto the grass right into the finish chute. I collected at least 15 high-fives from the kids, many of them with the yellow mile-race bib pinned to their shirts, lining the finish chute, coming in 90th overall and 3rd in my age group with a time of 31:54. Randy Barten finished not long after, in 105th place and also snagging 3rd in his age group. My daughter Eliza (Dorito-faced) and me enjoying the post-race festivities at the 2014 Outdoor Sunday Evenings 5k in Beaverton. Photo credit: Eric Barten. The awards ceremony was quick and included medals for overall and age group winners; the participant raffle results were posted along with finish times at a tent for people to check their bib numbers. Torrey Lindbo was the overall winner with a time of 17:15, followed by Daniel Bartosz in 17:35. James Markin took third with a time of 17:54. Our own Joe Dudman was the first male master runner, finishing in 19:05. The 2nd place male master was Kevin Rutherford with a time of 21:50, and Ken Krueger rounded out the top three in 22:37. In the women’s race, Stephanie Lowe finished in 21:57 for the overall title, Elle Davis came in 2nd with a 22:37, and Beth Armstrong earned the 3rd place medal with a time of 22:56. The women’s master’s race was won by Cathleen Long in 27:36, followed by Bridget Fulitano in 28:24, and then Kellie Stellingwerf with a time of 30:19. 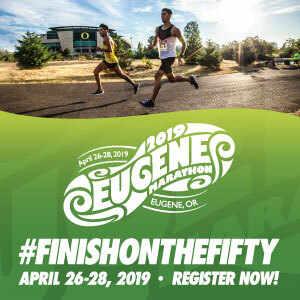 SW Bible plans to “run” the event again next year, so keep an eye on Run Oregon for the date! Thanks again for a great review, Kelly. 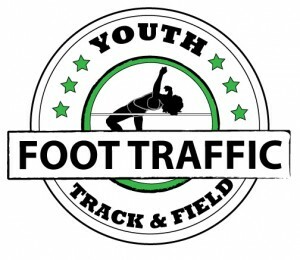 It is such a fun event to help organize, and I love hearing about it from the runner’s point of view. We look forward to next year!